Below you can view all the homes for sale in the Westbrook Commons subdivision located in Suwanee Georgia. 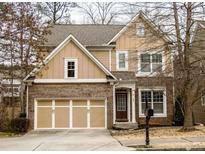 Listings in Westbrook Commons are updated daily from data we receive from the Atlanta multiple listing service. To learn more about any of these homes or to receive custom notifications when a new property is listed for sale in Westbrook Commons, give us a call at 404-998-4113. Main Level Features Open Kitchen W/ Ample Cabinet Counter Space, Open Plan W/ 2 Story Fireside Great Room & Breakfast Area, And Spacious Master Suite; 3 Good Size Secondary Bedrooms & Big Loft Upstairs - Great For Activities & Kids Will Love (Don'T Need A Wet Basement); Very Private Fenced Level Backyard Great For Bbq; In Cul-De-Sac Street; Suwanee Location MLS#6508549. Chapman Hall Realtors. Home Sits At The End Of This Quiet Street Adjacent To Neighborhood Picnic Area. MLS#6506211. Coldwell Banker Residential Brokerage.